Colour Panel, 2017 Pigment and oil on wood, 22 x 20cm. MOCA London (Stand 1) is part of the Peckham International Art Fair (PIAF) 2017. "This will mark the debut year of the non-for-profit platform, which seeks to bring together 15 of the most engaging international gallery and curatorial projects under one roof..." MOCA London. The work, Colour Panel is taken from the duo-exhibition with Paul Abbott, What Hat am I Wearing Today? which appeared at MOCA London in September 2017. The piece accompanied a series of other figural, painted works and Abbott’s sculptural, video and sound forms; a counter balance of colour, abstract motions and fluid identities. These painting ‘stills’ or ‘blanks’ might be seen as flashes of light caught from daily S-Bahn commutes; or swatches of industrial powder-coated colour typically found in the interiors of trains. Built up with thin washes and layers of pigment and paint the palette is the same mix as the figurative work, Late Night Traveller, an image of a commuter on the S-Bahn, with her tattooed layers of ghoulish make-up staring at the viewer/artist. “For this exhibition enquiry I was drawn to collected observations, snapshots of speculative instants and travellers from my journey’s musings. The paintings are possible portrayals of our personal realities as we too chase our tails while trying to retain our identity within shifting political realities, financial pressures; everyday survival. I am an artist that lives and works between Berlin and the UK. 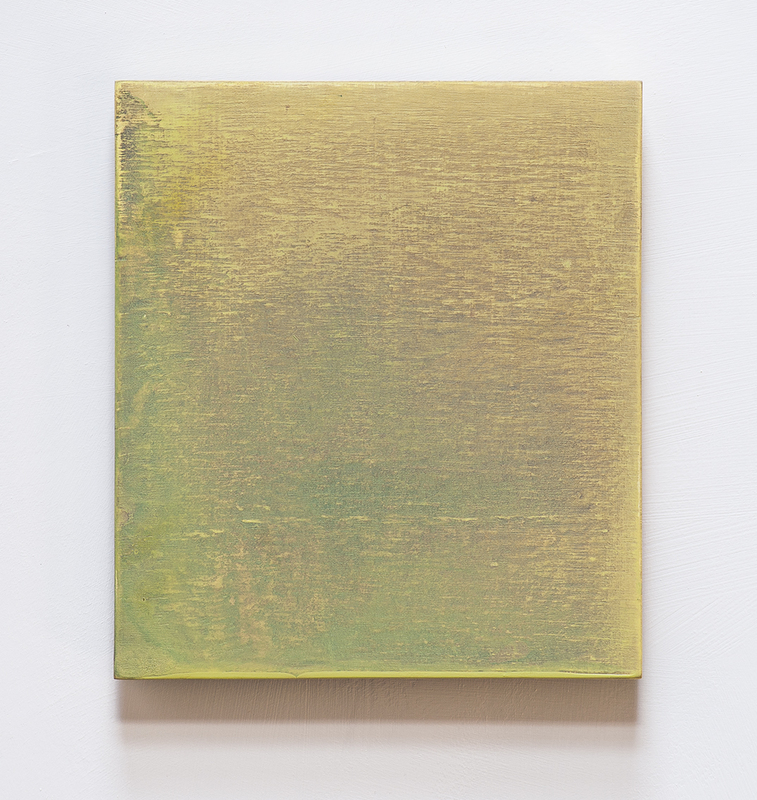 I work with paint and translucence; addressing paintings’ surface and spatial depth. Testing the sliding scale of figuration and abstraction, my focus is how we perceive identity and change – encounters”.